The Peter McVerry Trust has urged the Government to deliver a more effective and urgent response to the homeless crisis. 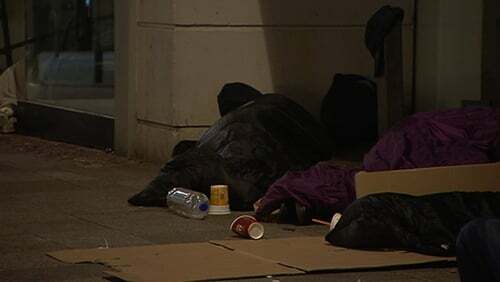 The housing and homeless charity says in its annual report the Government should switch its funding to more effective forms of responding to homelessness, such as 'Housing First' rather than continue to rely increasingly on emergency accommodation. Peter McVerry Trust CEO Pat Doyle said: "This is very frustrating because we know that emergency accommodation is more expensive and less effective than other models, such as Housing First. "Yet, Housing First receives less than 1% of the national homeless budget each year in Ireland. "In other countries up to 50% of the homeless services budget must be invested in the Housing First model. "Housing First has significantly higher success rates for housing people, and can be delivered at almost half the cost of traditional emergency accommodation. "If we can get the Government to make a funding and policy shift, then the next thing we need is housing to come on stream to actually deliver a Housing First approach." The charity is opening a further 170 emergency beds before Christmas. This is on top of a 28-fold increase in emergency beds in the ten years up to last year, from 27 to 765.